CONVERGENCE POWER SYSTEMS PVT LTD. It gives us enormous pleasure to introduce our firm to you CONVERGENCE POWER SYSTEMS PVT LTD an ISO 9001:2008 Certified manufacturing & Exporting company, its goals and quality standards set so high that only the excellent can aspire. In quest of professionalism and perfection characterized by a relentless pursuit for innovation and a focus towards nurturing everlasting customer base. 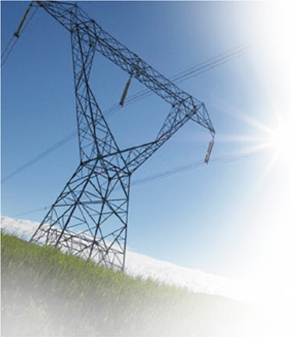 We, manufacture world class quality power products for Indian as well as overseas markets. Quality monitoring is handled & controlled by able management who amassed immense knowledge about the product from more than 20 years of experience in the Industry and is capable of bringing in solution to any type of constraint of the ever demanding customer. Quality Control: With an established Quality Control (QC) department which has been understood & well implemented by all its employees. We have our own in house testing facility. Inspection is done on every component for its required specifications & reliability. Bringing solutions to the enhanced needs of the customers is a challenge and only those are passionately committed in providing quality solutions will survive the constantly changing and increasingly complex world of global trade. Testing: It is not to mention that, in pursuit of achieving high quality & reliability; we have kept all modern testing equipment's in house. Each product starting from its very outset undergoes several rounds of rigorous testing and analysis before it finally goes out of the factory as a finished product. As a company policy, we make sure not even a single unit will be dispatched without satisfying the QC & each unit undergoes a minimum of 24 hours to a maximum of 48 hours burning test before delivery. R&D: We have our team of dedicated R&D engineers who are always there to look for new and improved products and continuously working towards achieving the best product design to get the the maximum result out of it. Our team is capable of providing customized products as per the customer requirement.